Hey, Guys, did you know that God wants to be your best buddy? And this book can help you learn more about Him! Use Gotta Have God to get to know your heavenly Father better. As you read each devotion you will find out more about God and how to be a Christian. After you read, there is a cool activity each day to help you understand the Bible. Start today and learn why you Gott Have God! 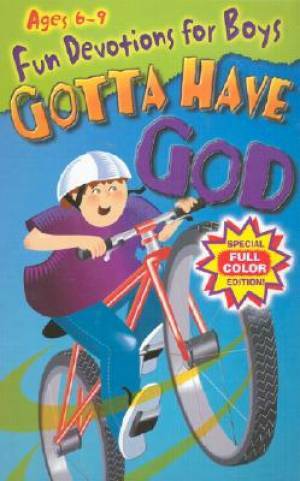 Gotta Have God by Diane Cory was published by Legacy Press in December 1999 and is our 27754th best seller. The ISBN for Gotta Have God is 9781885358974. Be the first to review Gotta Have God! Got a question? No problem! Just click here to ask us about Gotta Have God.